With the advent of home automation and smart technology, there has been a fundamental shift in the way that we think about home security. Before, just having a standard door lock and leaving a key under the mat was considered the best practice to secure access points, and the limitations of this system were just accepted as the stat-quo. Now that we have far greater access to technology, the same old lock and key security doesn’t provide the flexibility modern life calls for. 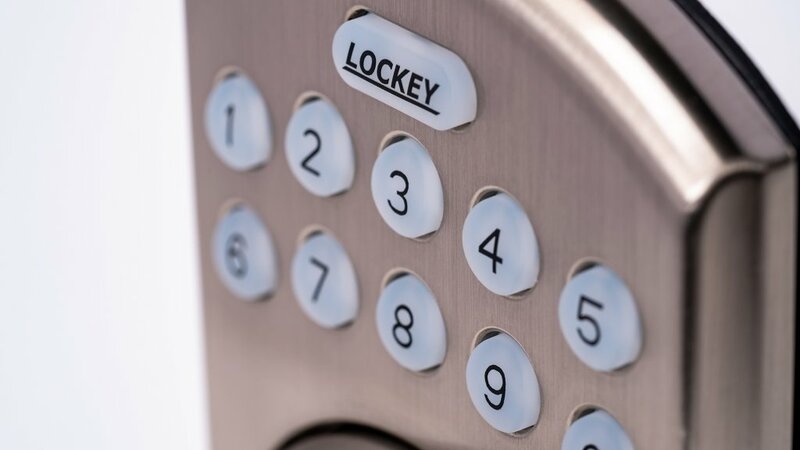 Electronic locks in general are not necessarily new technology, but the refinement they have undergone in recent years to be better-suited for residential applications has made them far more useful. 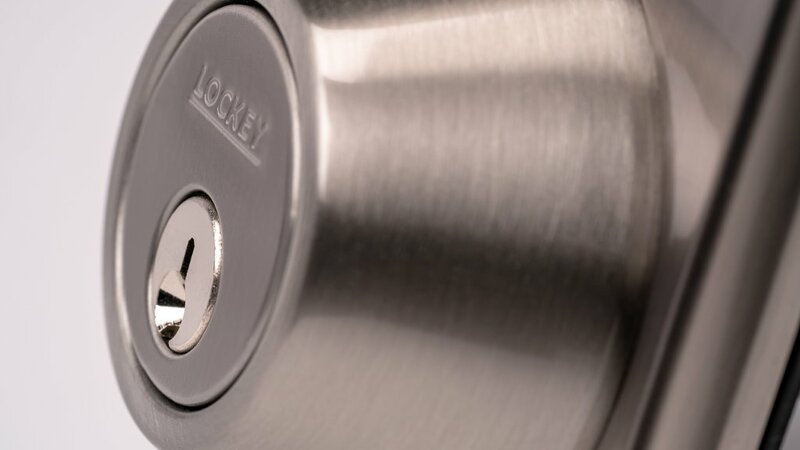 LockeyUSA is a giant in the keyless lock industry, with the former iteration of their company (Lockey) being the developer of the original keyless entry system in 1970. 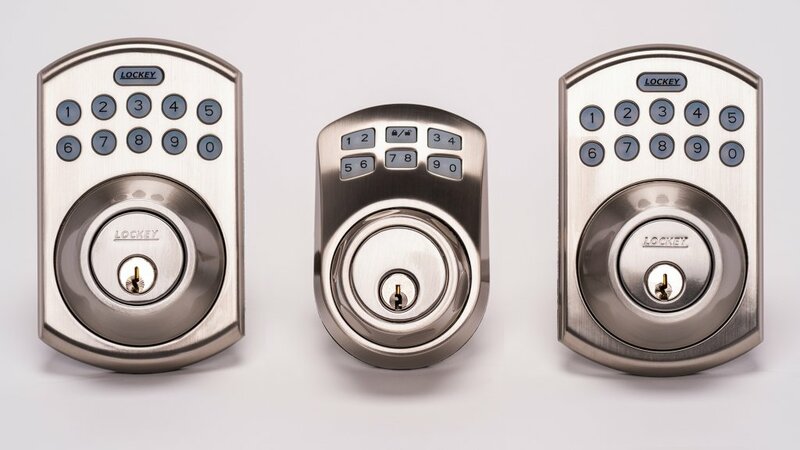 Since 1989 they have been cranking out door hardware, and we took a look at a few of their most recent electronic keypad locks to see how they fit into the modern home security ecosystem. While malcontents would claim the tried and true method of a double-acting pin tumbler lock and key in use on standard applications today (the basis for which was developed in 1848) works just fine, innovation in home security is always welcome for most. Keyless or electronic locks usually have the ability for users to program a variety of pin codes for access, which can be given out and revoked quickly and cleanly. If you have family members or neighbors who you want to grant home access to take care of the house when you are gone or in the event of an emergency, electronic locks are far more manageable than physical keys. Electronic pins can be quickly set up, shared without being physically present and they can be just as easily deactivated without worrying about extra hard copies of keys floating around. For regular personal use, it can be nice to leave the keys at home for a jog or walk with the dog, when you want to move lightly without a phone or set of keys. From a security perspective, memorizing a pin code is much safer than leaving a key under the mat or in a fake rock. In the use case of businesses, even the smaller mom and pop shops, it is very common to see an electronic lock with a keypad. This gives employees access to areas of the building only when necessary while reducing the cost and security concerns of having numerous keys floating around. Specialized new smart locks often also have the option for biometric access, Bluetooth, or Wi-Fi connectivity to other smart devices for automated access when added to a connected home ecosystem. How Does an Electronic Door Lock Work? There are a variety of electronic door locks and styles, but at the core they all function in the same way. They use an electric motor to extend and retract the deadbolt, or assist in locking the spring latch (also known as the deadlatch or just latch) in place. Diving a little deeper, there are a couple different ways that the electronic elements can function within the lock to improve its functionality over standard manual locks. Some electronic locks retrofit over the interior thumbturn on the deadbolt, which is a simple way to upgrade the hardware without doing any replacement of the existing lock assembly. 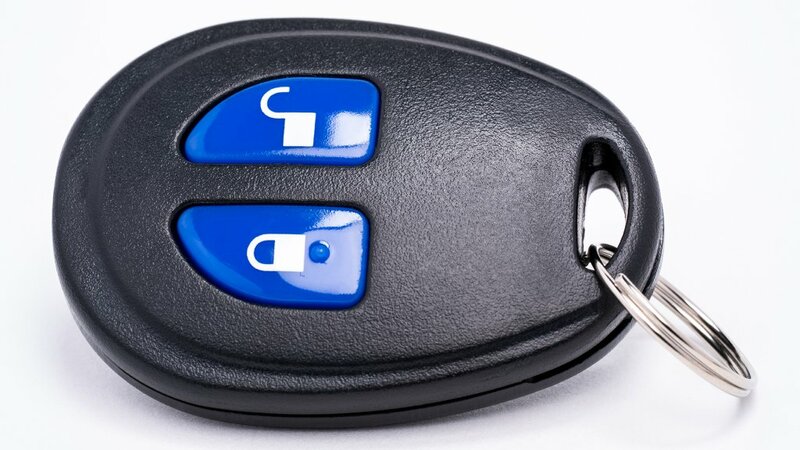 The most common type of electronic door lock however takes the form of a battery-powered keypad with a keyway connected to a latch that is operated via an electric motor. Often times, as is the case with the LockeyUSA sets I have, the device uses a deadbolt instead of a door knob and latch. Over the course of the decades since the first keypad lock rolled off the production lines, LockeyUSA has pumped out all kinds of electronic locks for doors, cabinets, gates and even a combination lock for wine bottles. The Slim Line 910, like all the LockeyUSA devices I checked out, is a direct replacement for the deadbolt on the door. This model is one of the smaller in the lineup, coming in at only 4-⅟₁₆” x 2-¾” on the door, and with the satin nickel finish (also available in bright brass or oil-rubbed bronze) it blends in with other standard door hardware. At $96.22 it is also marginally cheaper than the other models, however one of the elements the Slim Line has the others do not is the option to choose between manual or electronic deadbolt operation. The benefit to this is the ability to conserve battery life, although without using the manual function it runs for a period of 22,000 cycles on three AAA batteries. Many of the electronic keypad security locks that LockeyUSA makes, including the three that I tested out, have a low battery LED indicator built in to alert users before the battery just dies and leaves doors inaccessible. Another element that all three models reviewed also have is a backup physical key, just in case the battery does die without users knowing, ensuring access is never prohibited accidentally. With only six of the soft silicon buttons, users can set up to 20 different codes for access, using anywhere between four and ten-digit codes to help ensure criminals cannot try to guess the correct combination. If an incorrect entry is submitted, the keypad goes into an auto lockdown mode for 45 seconds before a new code can be attempted. Something unique to the Slim Line is an interior clutch function, which increases the security protection and privacy of the room on the other side of door by essentially refusing entry by brute force, as two coupling assemblies must be engaged via the locking mechanism. For the keyed element, LockeyUSA uses a Kwikset keyway, which is a tried and true brand in the home security space. Despite the relatively small size of the electronic lock, it has a good amount of heft to it, clocking in at just shy of 1.5lbs, and a solid powder coated zinc alloy construction. Along with the physical durability, LockeyUSA has a one year warranty on the electronics to give peace of mind their lock innards won’t fail and become an overpriced key lock. Moving up the ranks of the keyless locks the E915AB Electronic Deadbolt. While not nearly as catchy of a name as the Slim Line, it utilizes some of the same base elements from the Slim Line and compounds on them for added usability. 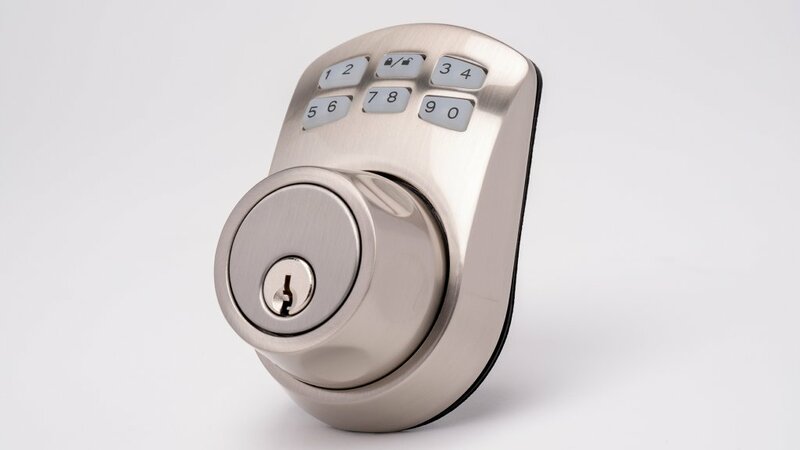 New to the $98.82 E915AB is a stainless steel construction, which is suitable for either internal or external use and a weather resistant keypad and external lock body. As far as size goes, the E915AB is larger than the Slim Line with an exterior footprint of 5-⅛” x 3-⅛” and an interior size of 7-¼” x 2-⅞”, however the extra size allows for the buttons to be more spaced out and dedicated for each number, which I actually prefer. The extra space on the rear plate of the unit fits the four AA batteries which power the lock and the LED-illuminated buttons (which are also used for low battery indication). I’m a sucker for blue LEDs so I like this aesthetic, and E915AB comes in the same finishes as on the Slim Line. Of course the buttons aren’t just for pretty lights, and owners can set up to six unique user codes, as well as disposable codes that are only valid for one-time use. This can be useful to keep on-hand if any emergency situation arises where someone needs access without you being home, like an exterminator or handyman. I’ll admit I am a touch baffled as to why the Slim Line can accommodate up to 20 unique pin codes and the E915AB can only handle six, especially considering the additional physical space available for hardware expansion. Just like the Slim Line, this version has a manual key override option just in case, however unlike the aforementioned model the E915AB has an option for automatic locking after the door is closed. The time delay to execute the locking can be customized from 10-99 seconds, which is actually quite useful for quick exits from the house on busy mornings or to allow you extra time to return if something is forgotten inside. While not specifically a “smart” functionality, this model has an included RFID remote for locking and unlocking, which is really nifty. In daily operation it can make entry and exit a slight bit faster, but the more valued use case is when carrying armfuls of groceries or anything else and quick access is needed. 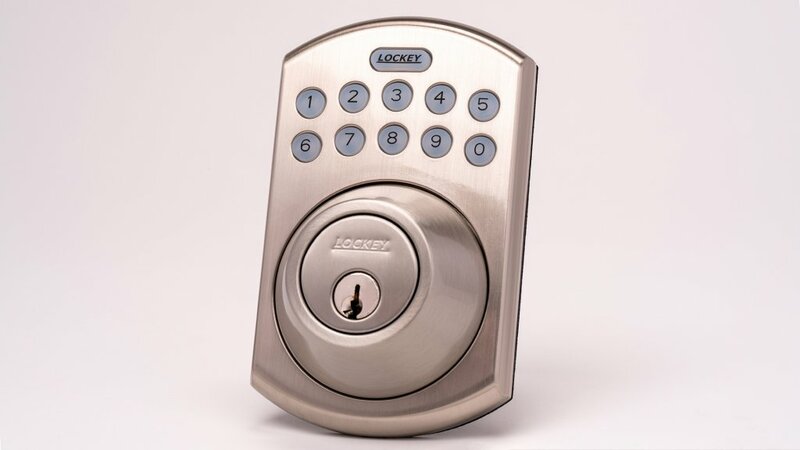 For those looking to outfit their family with a set, the lock can accommodate an additional four remotes LockeyUSA has available. Also different on this model is the keyway LockeyUSA used, which is a five-pin Schlage. Again, another one of the two giants in the access control and security space, however it is an interesting choice to use both brands on different electronic locks. According to some, the Schlage is a more advanced and competent lock mechanism as it uses more security pins than Kwikset, which makes it harder to pick. While I can’t verify this with any actual experience picking the two locks, I can say that from the limited knowledge I have more security pins seems like a better choice for keeping crooks out, if only for a little longer. The EB915AB is identical to the previous model, save for one new addition: Bluetooth control. With the inclusion of Bluetooth and an app to access the lock on a smartphone, users can control the lock from a distance up to 70’, and the price gets bumped up to $114.88. From the packaging, you can tell LockeyUSA is a hardware company and not a typical Smart Home brand. Where you usually see an artfully crafted box design with coordinated color schemes and marketing inserts with most connected devices, the Bluetooth deadbolt comes like what you’re more used to with traditional door hardware. While comprehensive for physical installation, the included instructions don’t have the app info on them, nor does the search for company name pull up anything in the app store so it’s a bit tricky to figure out. Searching on the LockeyUSA website, in the downloadable instructions section, a new set of instructions comes up, where users can find the “BLE Smart Lock” app information. I’ll admit that from a product perspective I’m very pleased with the LockeyUSA electronic locks, however the app process is not very intuitive, and it would be nice to have this information in the box for the lock. Once downloaded however, the instructions are quite comprehensive and give examples of every possible output in the app users might come across, so it just takes a little digging to get what you need. The app is available for iOS and Android, and as tested on Android it is simple, without a lot of bells and whistles to it. In the app you can have multiple devices paired to the lock, so everyone in the family could have access without bumping one another off. I had success operating the lock remotely up to about 70 feet give or take, which is what Lockey claims. Granted, I was in an office building so if you have more or less interference you may get varying performance from this. One thing that would be nice is to see in the activity log the codes that opened the door, however the only time an identification will show up will be when the Bluetooth connection is used to lock or unlock the device. Otherwise, it will show up without the information with the denotation “Code”. In practice, the app really only serves the purpose for checking the activity log since punching in a four-digit code on the keypad is just as easy if not easier than whipping out a phone and unlocking from the app. Is an Electronic Lock a Smart Lock? 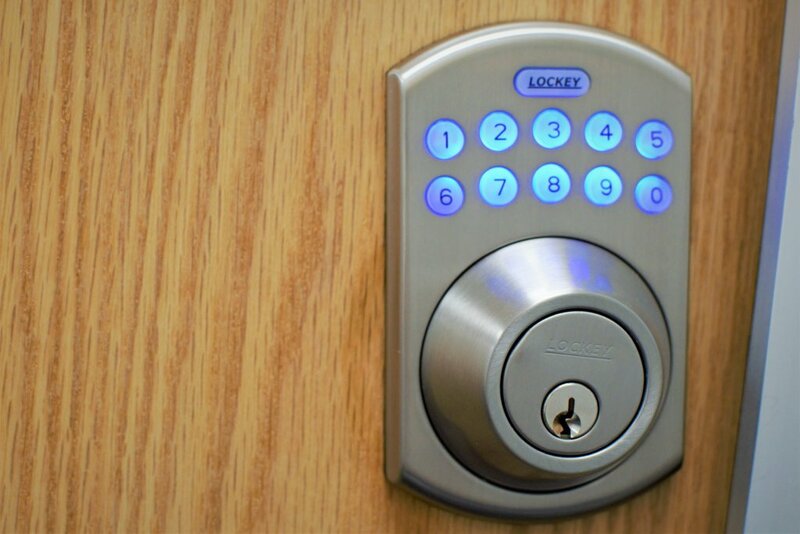 Technically, an electronic lock is not necessarily a smart lock, but it is definitely more advanced than a regular keyed lock, and often much more user-friendly. When thinking about the home security landscape, keyless locks and smart locks it helps to think of electronic locks as the midway point between smart locks and traditional locks. 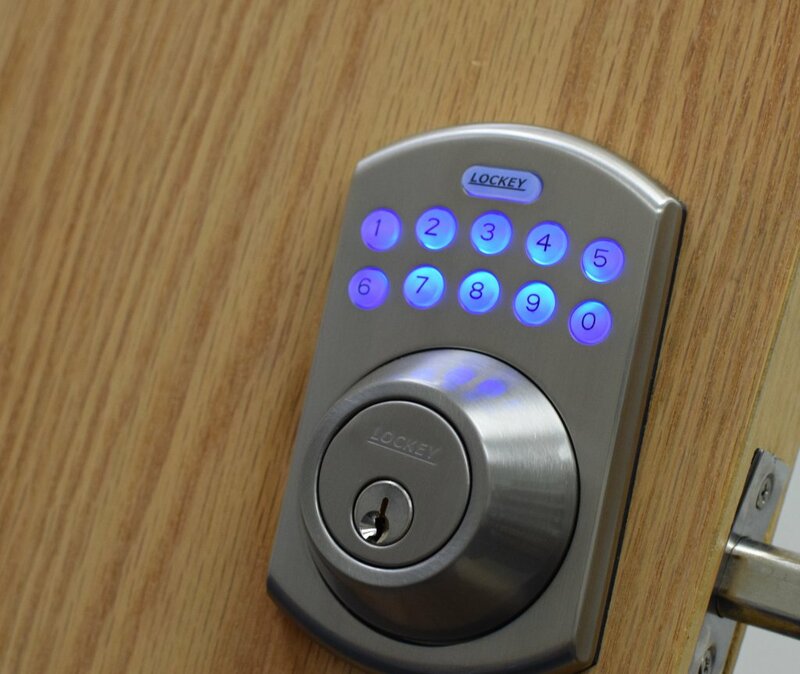 Some have smarter capabilities like the remote access like the LockeyUSA models we have here, and even the ability to store numerous entry codes is more advanced than your run-of-the-mill keyed lock. Where true smart locks depart from this is with their app compatibility that operates on a Wi-Fi network, which enables access from anywhere via smartphone. 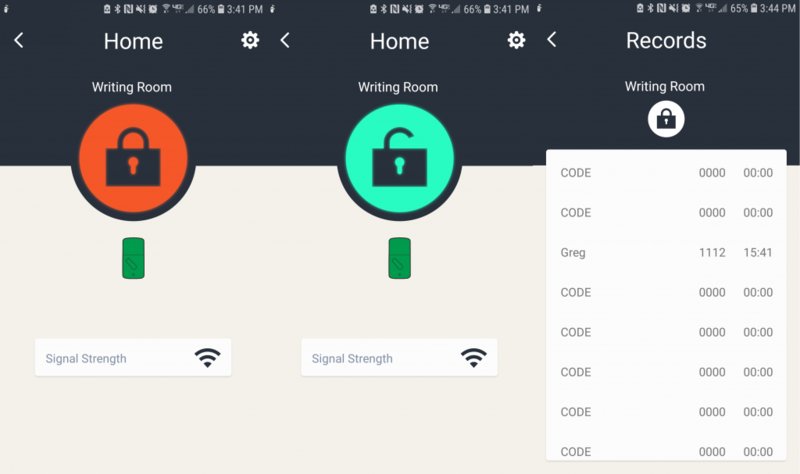 Whereas Bluetooth and RFID locks can only be controlled from a short distance away due to signal strength, Wi-Fi smart locks connect to the home internet network and can literally be controlled from across the world. Smart locks also always have an accompanying app, which allows users to set codes, see activity logs, change permissions, and customize other elements with far more control than non-smart electronic locks. Also, often times smart locks have the ability to store exorbitant quantities of pin codes, with some like the Ultraloq having up to 95 user profiles available. Loosen and remove the two screws securing the interior mounting plate of the current deadbolt, or door knob if the new lock will be a lock and door knob combination. Remove the interior and external lock components by pulling them apart in opposite directions from the door. Remove the two screws securing the deadbolt or latch to the edge of the door on the current mechanism, and pull out the latch or deadbolt assembly. Reverse the process for installation of the new electronic lock, ensuring that the power cable connecting the internal and external plates is run through the door knob or deadbolt hole without being pinched by the components. After installing the new keyless lock, the setup process for creating a new pin code is generally straightforward and varies from brand to brand. How Secure is an Electronic Lock? Of course, if the ultimate test of a lock’s worth is the security factor, the most important question to answer is whether or not electronic locks are secure. Electronic locks like the ones we tested from LockeyUSA offer a secure alternative method of entry into the door, besides the key. The electronics themselves are secure in that they cannot be hacked, other than someone trying the multitude of possible combinations in a brute force attack, in which case a sledgehammer would be more useful. With locking mechanisms provided by the two top names in the lock space for decades, the mechanics are as secure as they can be for an electronic lock. One thing to remember though, is that anything with a keyway can be picked, if not in practical application at least in theory. So that would mean that completely keyless smart locks are more secure, right? Not necessarily. While some smart locks like the Nest x Yale Lock don’t have the ability to take a physical key which means that they cannot be picked or bumped, connectivity to the internet presents other security concerns for some. As ironic as it might be, while removing the possibility of lockpicking might deter any crafty crook with a set of tools, smart locks connected to the internet are susceptible to hacking from more tactful burglars. Essentially, there is no “most secure door lock hands-down” across all scenarios. The best electronic door lock for you depends on a couple factors. Do you need or want a smart lock? If so, there are a variety of options depending on the features that matter most. Remote access and activity logs are standard, and some offer the ability to set up automated locking depending on inputs from other devices. If you are simply looking for a trusted brand with good mechanics, and greater flexibility to access the home, the LockeyUSA electronic locks are a great fit for a reasonable cost. At the end of the day, the primary function of a lock is to provide security to keep out unwanted individuals and the better quality and more secure the device is, the more successful that device is. All the additional features like keyless entry, apps, and remote access are all great additions that can make life easier, depending on individual use cases. Electronic locks, keyless locks and smart locks all bring added tech to the home security space. LockeyUSA blends traditional strength with newer technology to build safe locks with the user in mind.